The Hotel in Menaggio is a historic hotel of Lake Como, built in 1890, recently restored, but keeping it's late 1800′s style, it's elegant grand staircase decorated with ornate golden friezes and it's chandeliers are a testimony to the splendour of Liberty style. 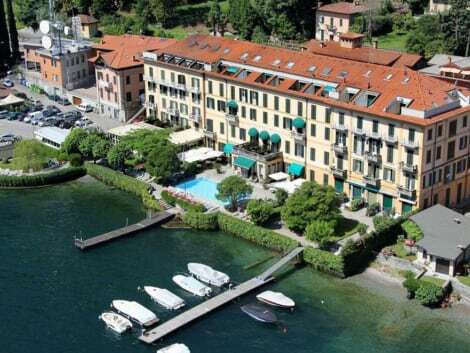 The Hotel is immersed in a splendid garden with century old trees, directly facing Lake Como, with a breathtaking view of the centre part of the lake and Bellagio. The personality of a high class grand hotel together with a sense of hospitality and courtesy of the staff create a welcome and warm atmosphere. Boasting stunning views of Lake Como and set just by the lake shores, Villa Navalia offers spacious luxury apartments with free Wi-Fi, air conditioning, and free use of bikes. It is 1 km from Menaggio. Overlooking both the lake and surrounding mountains, each apartment has an outdoor dining area. They both include a large kitchen, very spacious living room and all modern facilities. While the ground floor apartment opens onto a big terrace with hot tub, the penthouse apartment includes a balcony in each bedroom. Private parking is provided for each. A bus to/from Menaggio and Como stops a 5-minute walk from the property, while the Swiss border is 20 km away. You can call the owner in advance to ask for grocery delivery, at an extra cost. Baby sitting, hiking and boat tours can be arranged on site. With a stay at Lake Como Peace Lodge - Hostel in Menaggio, you'll be within a 10-minute drive of San Martino Church and Menaggio Beach. 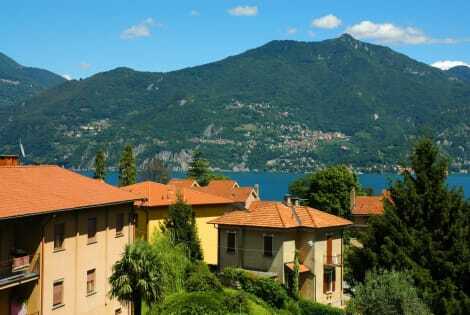 This hostel is 8 mi (12.9 km) from Lake Lugano and 6.2 mi (9.9 km) from Villa del Balbianello. Treat yourself to a stay in one of the 2 individually furnished guestrooms, featuring fireplaces and private plunge pools. Your bed comes with down comforters and premium bedding. Rooms have private furnished balconies. Kitchens are outfitted with refrigerators, stovetops, and microwaves. Flat-screen televisions are provided for your entertainment. Make yourself at home in one of the 11 guestrooms. Complimentary wireless Internet access is available to keep you connected. Conveniences include desks and ceiling fans, and housekeeping is provided daily. lastminute.com has a fantastic range of hotels in Menaggio, with everything from cheap hotels to luxurious five star accommodation available. We like to live up to our last minute name so remember you can book any one of our excellent Menaggio hotels up until midnight and stay the same night.